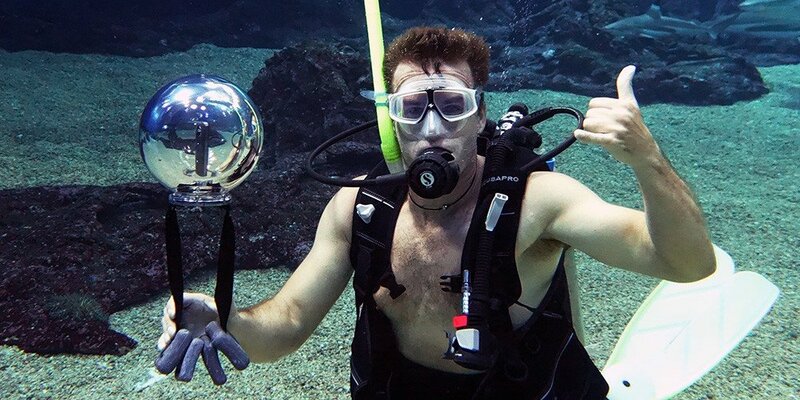 360Bubble is a spherical underwater housing that can be used with smaller 360 cameras such as the Samsung Gear 360 and Ricoh Theta S.
360Bubble is an underwater housing that works with small 360 cameras. It resembles a fishbowl and is made from polycarbonate plastic, like hard plastic water sports bottles. Its spherical shape helps minimize distortion compared to some underwater housings such as the Holaca underwater housing. Because it will have air in it, it will float and needs weights to offset the buoyancy. One issue with the 360Bubble is that you won’t be able to press the buttons on the camera. You’ll just have to begin your video before you start recording, or for photos, you can use an intervalometer or time lapse mode. Alternatively, you may be able to use a waterproof smartphone or waterproof Bluetooth remote, depending on your 360 camera. 360Bubble is available on Amazon or directly from 360Bubble. There are two housings – one that can withstand a depth of 4 meters, and another for 10 meters. 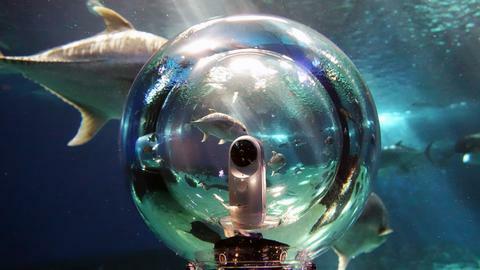 They also sell adapters to use the 360Bubble with different types of 360 cameras such as the Ricoh Theta S, Samsung Gear 360, LG 360 Cam, and Nikon Keymission 360 (note that the Keymission is waterproof). Great to see something like this. Thanks Rich! Hopefully it comes back in stock soon!